Times when me made an exposure. 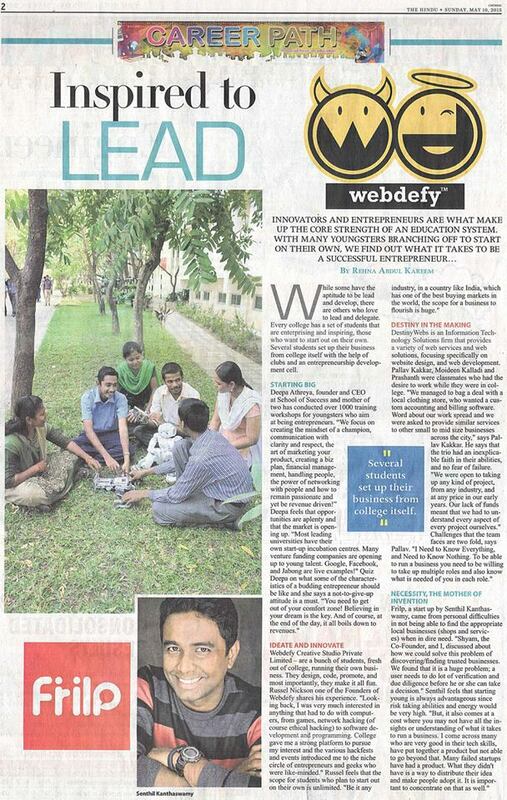 [Media Coverage] Webdefy has made it to one of the leading national newspapers for the 3rd time. 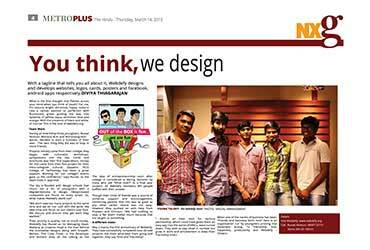 This time we got featured as one of those who ventured to start their own business right after graduating from college. Yes! we definitely are ‘Inspired to Lead’. Find out what we have got to say on what it takes to be a successful entrepreneur! 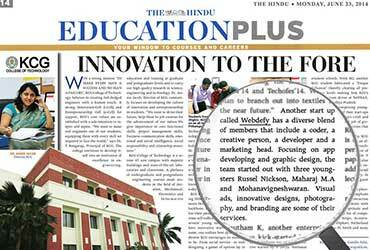 [Media Coverage] Webdefy makes it to ‘The Hindu’ again. 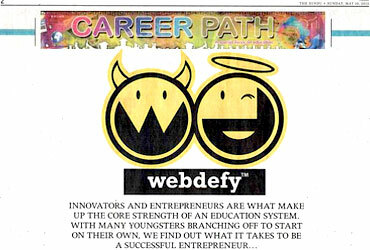 This time Webdefy got mentioned as one of the startups from KCG College of Technology. Thanks to KCG College for remembering us and extending full support to us all the way through. We are fully determined to make our college proud with our achievements. 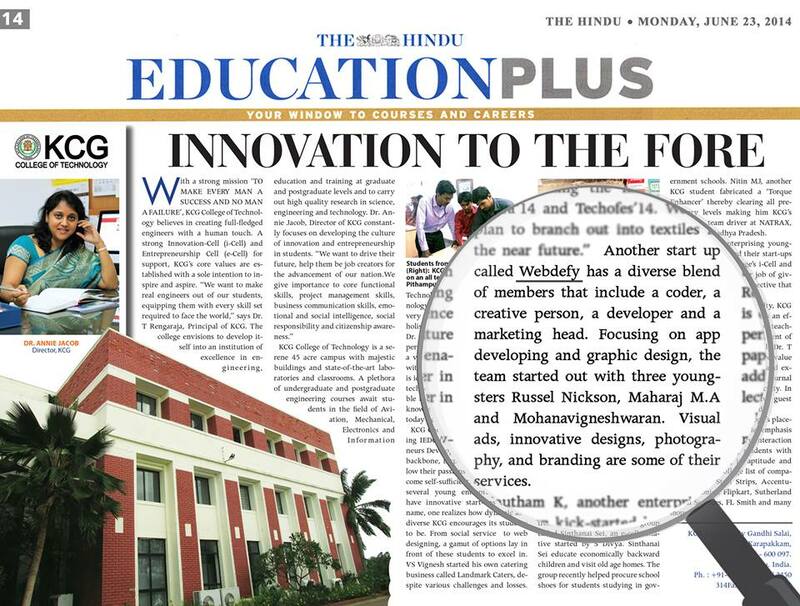 [Media Coverage] Webdefy is featured for the first time in media. Started as a dream team of creative professionals, Webdefy mascots into the business world, with out-of-the-box design to articulate a change with the latest trends of the internet world and software arena. Today is to be remembered as continue our journey. Heartfelt thanks to everyone who has been a part in making what we are today.